tank and input side of the fuel pump (WP 0080). If bubbles were present, repeat Steps 4 through 10. 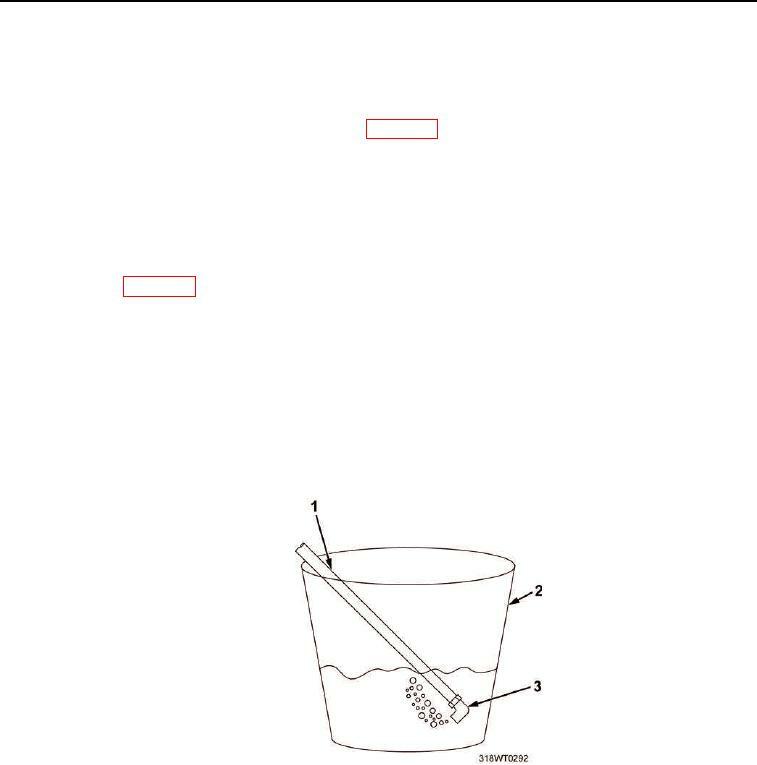 If no bubbles were present, measure the amount of fuel in utility pail (Figure 3, Item 2). A minimum of 0.9 gal of fuel is required for the fuel pump to pass this test. Pour fuel from utility pail, back in fuel tank. Start engine and run at 1800 RPMs for one minute (TM 55-1925-205-10). Repeat Steps 8 through 14. If fuel pump fails again, repair fuel pump. Contact Maintenance Supervisor. Repeat Steps 4 through 10 and verify that fuel pump passes. Remove elbow (Figure 3, Item 3) from fuel return line (Figure 3, Item 1). Install fuel return line (Figure 2, Item 1) on ball valve (Figure 2, Item 2). Figure 3. Fuel Return Line. Remove drain pan and dispose of contents in accordance with local procedure.